Jurgen Klopp told cameras after the game to focus on Divock Origi and not him. The Belgian notched a last minute winner against Everton after coming off the bench, but with Klopp running onto the pitch in a manic celebration, the attention was all on Liverpool’s manager! 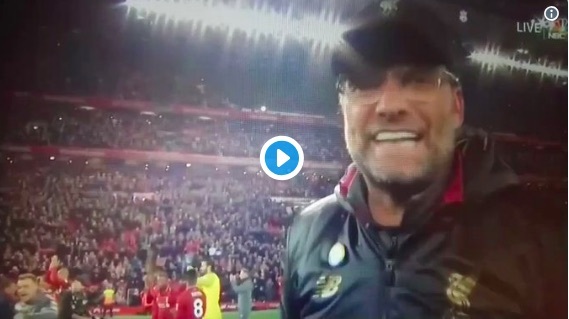 Klopp looked straight into the camera and reminded viewers that the hero of the hour is Origi, not him. You can see as much in the video below, which shows that despite his incredible charisma, Klopp is ultimately incredibly humble. We wouldn’t swap the German for any manager in the world.